Choosing Sides: Students had the chance to decide what was most important to them by physically walking from one end of the room or the other during a long list of polarized (or slightly gray) opposites like: country or city? art or science? leader or follower? Afterward, we talked about whether the similarities or differences surprised us, and if it is okay if we have different tastes, styles, and values. Leadership Talk Show: Students sat in partners. One was given the role of asking a question picked from a list, then listening to the partner silently for a set period of time (for fifth graders, two minutes was more than enough). Then they switched roles. There were some other steps (but you'll have to buy the book! :) Such great discussions came out of this activity! Students really understood how important it can be to be an active, but not overwhelming listener! 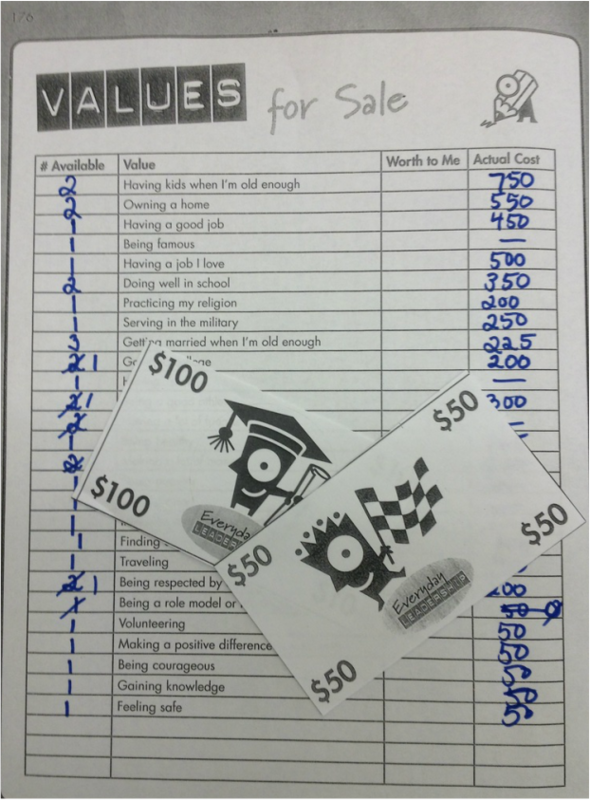 Values for Sale: This activity turned out to be several students' absolute favorite. It is a "values auction" that includes EDL (EveryDay Leadership) funny money and a long list of values. I gave group members the chance to look over the values list for about five minutes and gave each member EDL cash. We set ground rules. After the auction, each member had a definitive list of personal values. There were personal revelations and some great discussion! It also led nicely into the values worlds we created later, which I will post about soon. During my school counseling internship in graduate school, I used the book Operation: Breaking the Boy Code by Poppy Moon with a group of fifth grade boys. Even with only 6 weeks and half hour sessions, I felt that the boys grew tremendously after engaging with this curriculum! The book focuses on development of character through an exploration of masculinity and brotherhood. A study of the characteristics of the Knights of the Round Table. We made shields that represented each boy's unique qualities and values. Creating superheroes that helped others in some way. Studying Native American totem animals and creating a totem pole to represent the group. Learning about and practicing the peaceful ways of samurai masters. The boys particularly loved the sacred oath that included sign language that they all memorized and used as a secret code together. I created badges they could earn for each letter; they were proud to display their badges and the shield they had created. Teachers and parents said that they saw a real difference in the boys' self worth and attitudes after completing the group. I would recommend this book for 4th and 5th grade boys, and I am looking forward to trying out the companion book for girls by the same author: Operation: Breaking the Girl Code. rewind: drag index finger up other arm, from fingers to shoulder, chant "go back and fix!" fast forward: point index fingers and roll like wheels, chant "what will happen next?" slow motion: Play Jenga and have students play quickly and then slowly; discuss why going slowly and gently helps. You can then refer to playing Jenga when students are attempting to problem solve with others and are feeling frustrated. rewind: Use finger puppets to act out scenarios with mistakes then rewind and fix your mistake (because everyone makes mistakes!). It was fun to match scenarios to the individual's specific challenging behaviors (i.e., one student struggles to keep hands and body to self, so the scenario acted out related to how to apologize and offer help after touching others). Throughout the week, I try to check in on students in the group to allow them to practice the concepts in the moment. I recommend creating a larger sized remote control visual to hang in the classrooms of students in the group, and letting teachers know about the lessons so they can reinforce the concepts. I wrote a letter for parents and guardians so they can support our work at home, as well. I will attach the letter below. 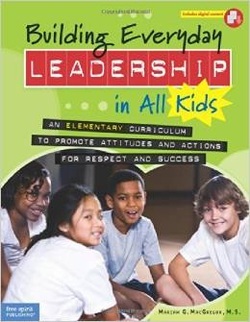 Again, I highly recommend this book for students in grades K-3 with some modifications for their developmental levels!